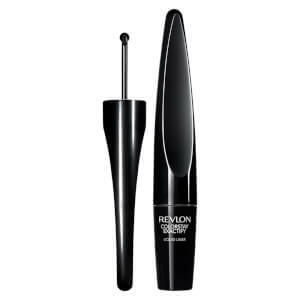 Create expert-level eye looks with Revlon ColorStay Exactify Liquid Liner. 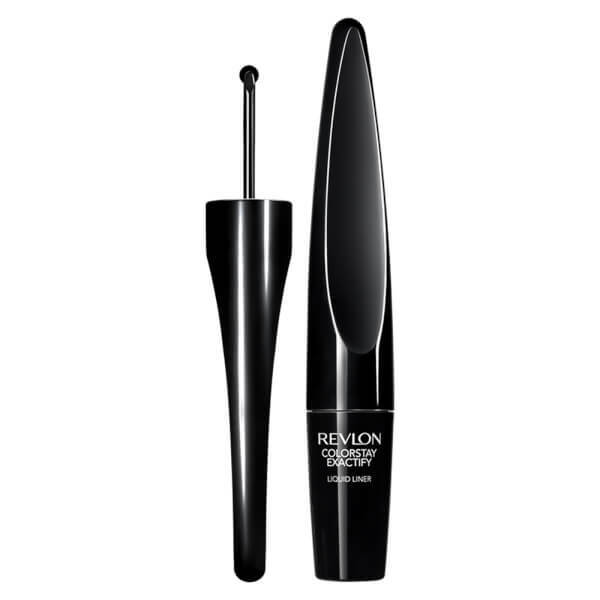 The waterproof eyeliner is housed in an innovative Exactify Wheel Tip™ applicator, which rolls smoothly over the skin to create thin, precise lines without skipping. The intensely black, richly pigmented shade dries to a shiny vinyl finish and lasts up to 24 hours without fading or smudging, helping you to create flawless, fool-proof lines every time. Aqua/Water/Eau, Ammonium Acrylates Copolymer, Calcium Sodium Borosilicate, Ethanol, Silica, Butylene Glycol, VP/VA Copolymer, Poloxamer 407, Calcium Aluminum Borosilicate, Myristyl Lactate, Disodium Deceth-6 Sulfosuccinate, Ethylhexylglycerin, Laureth-30, Hectorite, Citric Acid, Tin Oxide, Simethicone, Tin Oxide, Simethicone, Steareth-4, Phenoxyethanol, 1,2-Hexanediol, Caprylyl Glycol, Sodium Dehydroacetate May Contain, Black 2 (CI 77266) [nano], Mica, Iron Oxides (CI 77491, 77492, 77499), Titanium Dioxide (CI 77891), Carmine (CI 75470), Ferric Ferrocyanide (CI 77510).